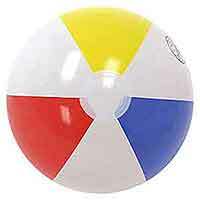 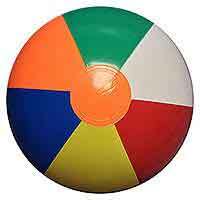 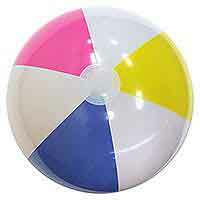 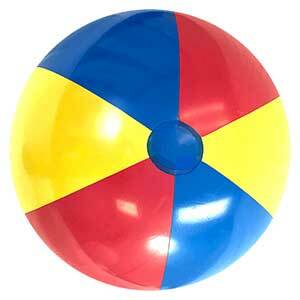 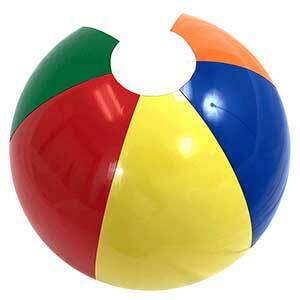 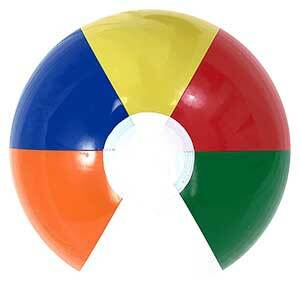 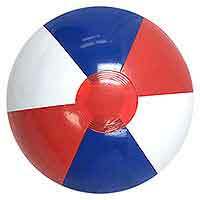 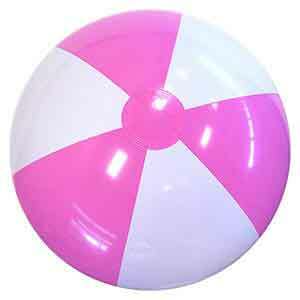 Nice bold colors in this 16" multicolored Beach Ball with white ends. 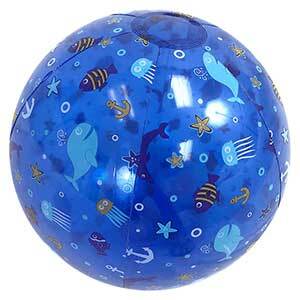 Solid feel and no printing. 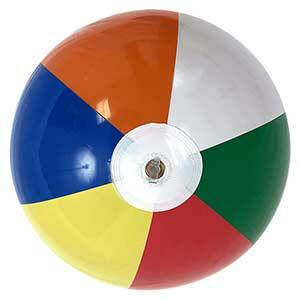 Great for beating around. Nice bold colors in this 14 Beach Ball. 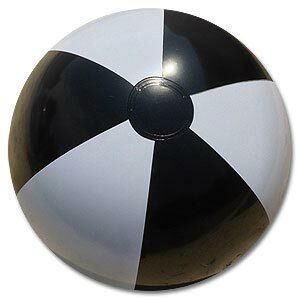 Solid feel and no printing. 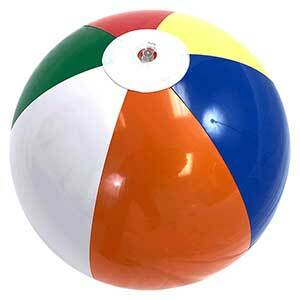 Great for beating around.